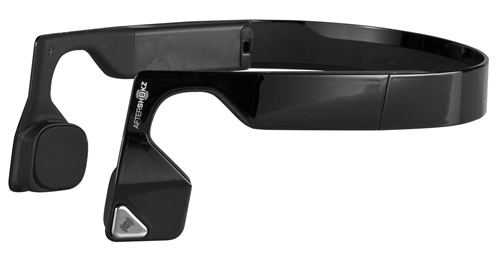 Following my ‘issues’ with my AfterShokz Bluez 2 bone-conductive headphones packing up in the rain every so often, the multifunction button was also a hit-and-miss affair of late, is having already bought Alison a new pair, I did the same and my new AfterShokz Trekz Titanium wireless headphones arrived at the office today. They’re smaller and seem lighter than the Bluez2 headphones which is a plus. And yes, they were very lightweight indeed on the run home. Well this is a tad infuriating. 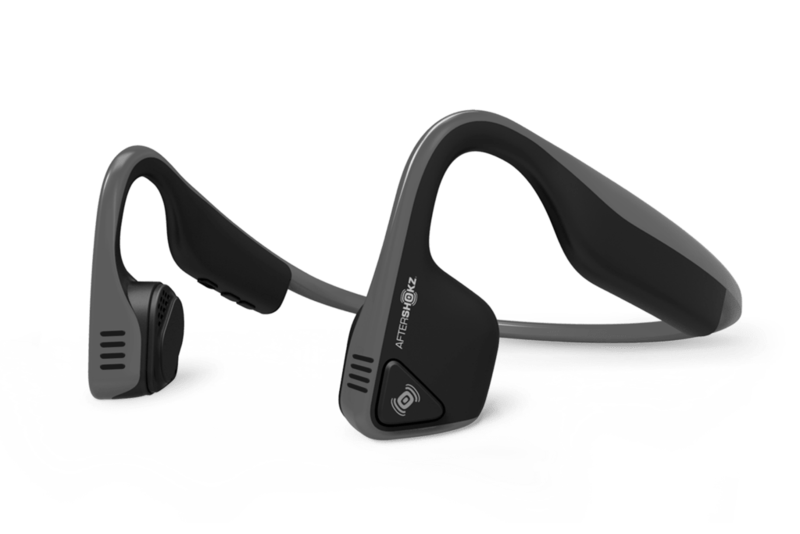 I ordered those AfterShokz Bluez 2 bone-conductor headphones through Amazon at the start of October with the order being handled by Millet Sports. After an e-mail from them saying they were experiencing stock issues, I finally contacted them last week to see if they were actually going to supply them or should I cancel the order. They replied, apologising but cancelling the order anyway! Curses. That’s about 3 weeks lost. So – again through Amazon – I ordered them from SimplyRun. And guess what? Despite the Amazon order saying they had stock, SimplyRun didn’t and instead cancelled by order last weekend. Poo! Now as I was just about to write this update, I discovered that the Apple Store has them … allegedly! We shall see. The fact that the UK website is unreachable at the moment and that the US site is suggesting they’re on backorder doesn’t make for much confidence. One of the issues I’ve always found with running is that by the time I’ve left the house in the morning, worked until well after 6pm and made my way home again, I don’t really fancy getting changed and heading out for a run, especially as that also means my partner won’t be eating until I get back from the run and I’ve showered/bathed (oh and uploaded my data to Garmin Connect, Fetcheveryone and MapMyRun, of course). If it’s dry, I tend to walk home from work: just under 4km. So the conversation the other evening turned to combining the two with me running home instead. This concept – “run-commuting” – is gaining pace and a lot of people I saw on my walks home are already doing this. Work is office based, with a strict dress code for all of us. It’s rumoured that there’s a shower on the 6th Floor in the ladies’ loos but if it is there it’s behind a combination lock! So running to work and changing once I get there isn’t an option, but as I’m usually last out, changing in my office into my running gear to run home is definitely do-able. I can leave the suit in the office and take it home the next day – I like to wear a different suit each day. First off was the rucksack. I have a number of Kriega rucksacks for my motorbikes which are fabulous but probably too much and too heavy for running, plus they’re not designed for bouncing around on your back. 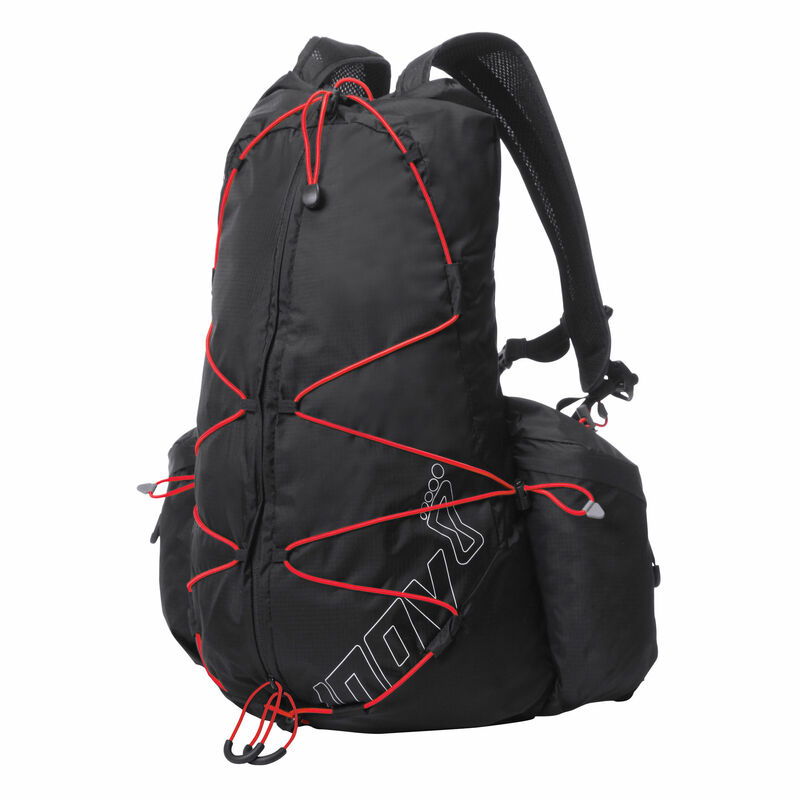 So I did a little research and settled on an inov-8 RaceElite 16 rucksack. All I need to carry to work is my running gear and to home it’s my shoes, socks, shirt, tie, cufflinks, phones and wallet, so the 16 litre rucksack just about fits these in, along with a spare gel sachet on the strap. Once packed, it’s a case of cinching up the elastic straps to hold the contents securely to prevent bounce and you’re away. The chest strap is adjustable for height and girth and the waist strap can also be tightened during the run. There’s even a hole for an accessory water pouch if you need one – I don’t – or you can fit a 500ml water bottle in each wing pocket – I don’t. In use over the 5km route home that I’d mapped out on MayMyRun.com the bag was great with very little bounce and it kept secure. Although it’s not waterproof, it was fine for the first time when it started throwing it down around 4km (just as I was passing my house for the first time before the final 1km). 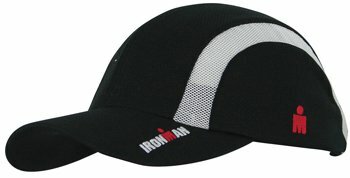 Talking of which, I was pleased I’d also bought myself an Ironman “Active” running cap which kept the rain out of my eyes and as it’s vented meant I wasn’t too hot at the same time. That way the safety aspect of being able to hear what’s going on around me can coincide with listening to music. I just hope it drowns out the panting! We’ll see when they arrive. I’ll pair them with my iPhone 6 and listen to my music from that.